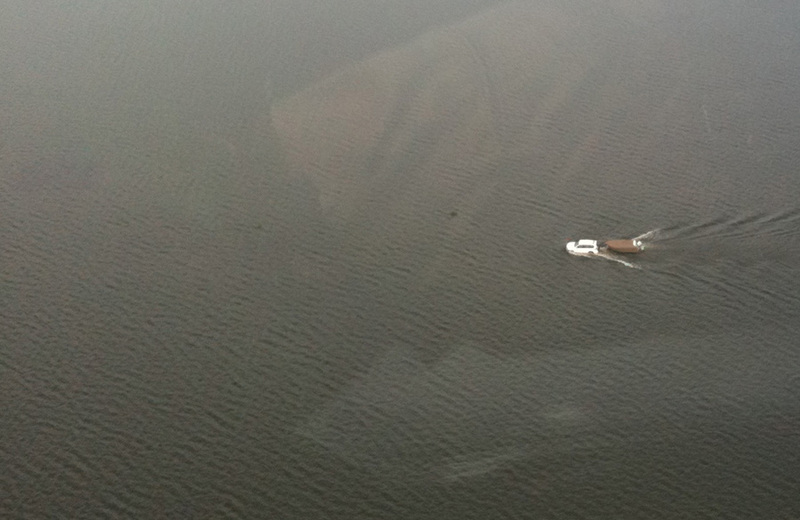 “Doors Off” snapped this barramundi fisho from his chopper. If you are super keen, this is the sort of work your car and trailer will be doing during the northern wet season … see more here. You can catch a barramundi out of any boat. The barramundi really do not know the difference. It is more enjoyable however to fish from a boat that is designed for the purpose. From a boater’s perspective there are three types of barramundi fishing. Casting, trolling and bait fishing. Casting is intensive and involves crews of two or three anglers casting lures at run-offs, snags, rockbars, eddies or anywhere barramundi are likely to lurk. This type of barramundi fishing requires a stable boat with front and rear casting decks. The raised decks make fishing more enjoyable and increase field of view. They also help spread fishermen across the length of the boat, minimising the chances of them hooking their mates on the back-cast. Casting decks also provide extra storage for fuel tanks, eskies, camping gear and the like. 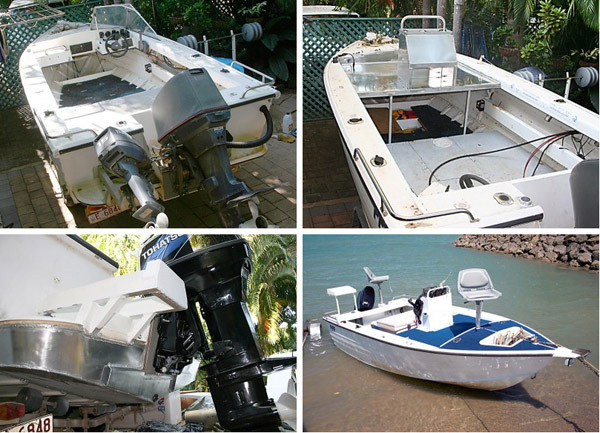 The need for casting decks means front-steering runabouts and half cabins are less suitable for barramundi fishing. Centre, side and rear console designs are best, or with simple tiller steering. Trolling is less demanding on boat design, as you are essentially just pulling lures behind the boat. The same could be said of bait fishing, where baits are dropped over the side. Ideally a bait fishing boat has no cabin, so baits can easily be worked over a 360 degree area. Many bait fishermen also like to cast lures while waiting for a bite. 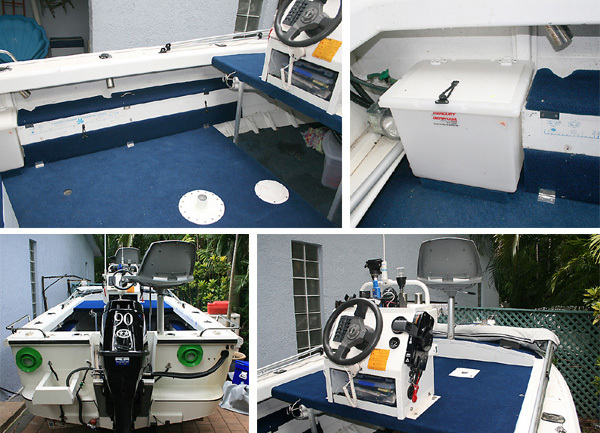 What all barra boats need are reasonably shallow draught, long range, speed, storage and sun protection. A reliable engine and tough hull material that withstands knocks also helps greatly. The two pictures below show my own project boat under construction. I converted my dad’s old front-steering runabout into a barra boat with a high raised deck. The pictures explain themselves. The spools on the back are for my occasional trip chasing billfish – they provide extra slack line off the outriggers. The Northern Territory has good roads and most boat ramps can be accessed by 2WD, although 4WD is recommended as even good concrete boat ramps can be slippery and difficult at low tide. Boats of all sizes are used to go barramundi fishing, but because of the presence of large crocodiles in Northern Territory, anything under 3.7m is not recommended. 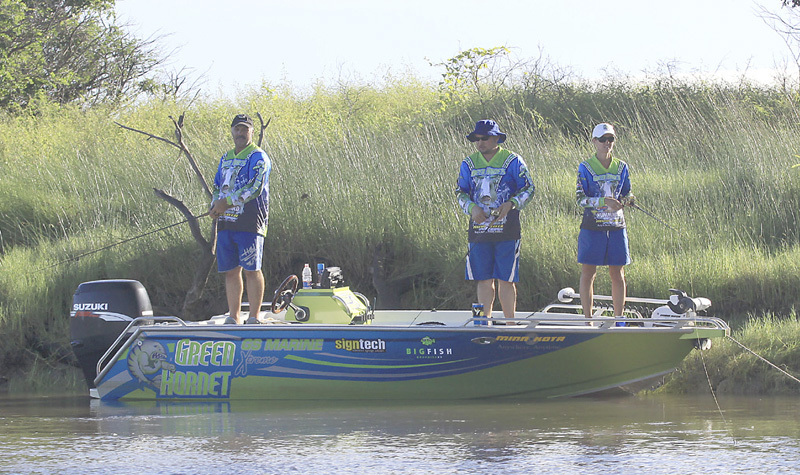 Casting platforms are very useful in a barramundi boat, as are livebait tanks, and a long-range fuel tank. 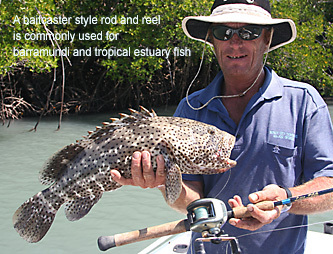 However a standard 3.7m cartopper is suitable for many barramundi hotspots. 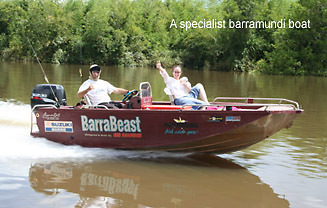 Click on the link here for more on barramundi fishing boats. Overhead casting reels are hugely popular for lure fishing. Small spinning reels (eggbeaters) work fine however and are good for casting light lures. Click on the link to find out more about barramundi fishing reels. See your tackle shop to find a matching rod – there’s too many choices to list here, but good rods are available at low prices. Line breaking strains today are usually 8kg to 15kg, with a tendency to use the modern braided lines. 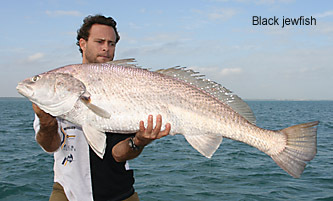 A good echo sounder can help you locate barramundi, although it is not an essential item for much barramundi fishing. A GPS unit is handy when you are in unfamiliar waters as local fishing maps generally provide GPS data. You will need a landing net, preferably a small mesh net that will not split the fish’s fins. Many barramundi are released because the NT has strict bag and size limits and these fish must be handled carefully to ensure their survival. A measuring sticker should be attached to the gunwhales so you can see if your barra is over the legal 55cm limit. A lure desnagging pole will help you retrieve lures that are invariably snagged while fishing the lairs in which barramundi shelter. Sunscreen, a good hat and lots of drinking water are other essentials.